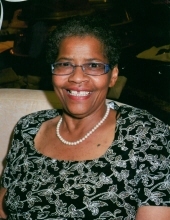 Rosie L. Harris, age 68, left this earth peacefully on Sunday, March 17, 2019, at her home in Denver, Colorado. She was surrounded by her children and grandchildren when she transitioned on. Rosie was born September 12, 1950, in Shreveport, Louisiana. She was the eldest of five children born to Margie R. Harris. Rosie succeeded in graduating from East High School in 1968. She was a woman who conquered all odds put forth against her. Her motto was always ‘prove them wrong.’ Rosie expressed the importance of education to her children, grand-children and great-grandchildren. She would always say, “I want to be here to see you graduate from high school and college.” Rosie encouraged and loved her family to the fullest. If you needed a helping hand, she was there. If you needed a shoulder to cry on, she was there. If you needed a scolding, she was there too. Rosie had a few hobbies gardening, cooking and shopping at Walmart. She had a passion for growing plants and could bring a plant back to life when others would have considered it a loss cause. Rosie brought family together when she made meals. Everyone would come from miles around to have a meal she cooked. Always from scratch and very meticulous with the whole preparation. Whenever you wanted to see a smile come on her face. All you had to say is…Rosie, let’s go to Walmart. Rosie worked very hard all her life. She retired from the City and County of Denver after working at Denver Health and Hospitals for 35 years. She held the position of Lead ASA II. Rosie was very knowledgeable in her field, and a point-of-contact when someone needed accurate information. She was considered the office mother, sister and friend. When she spoke, people listened. Rosie was a woman of strength, tenacity and perseverance. She had a smile that would brighten any room and an uncanny ability to reach people in a deep and positive way. Rosie has gone home to join her mother, sister, brother and son. She is survived by her five children, Margie Morris, Stephen Morris, Shawn Morris, Scott Morris and Tanisha Morris. Twenty grandchildren, eight great-grandchildren, two brothers, Thomas Jefferson, Anthony Jefferson and a host of nieces, nephews, and cousins. To send flowers or a remembrance gift to the family of Rosie Harris, please visit our Tribute Store. "Email Address" would like to share the life celebration of Rosie Harris. Click on the "link" to go to share a favorite memory or leave a condolence message for the family.